Now they are dreaming again in Sweden. The hope for an automobile production in Trollhättan is reversed. Following the entry of Evergrande Health Industry Group Limited at NEVS, which is nothing more than a takeover. Evergrande now owns 51% of the shares and represents the majority on the board. 930 million US dollars (818 million €) will be settled in two tranches. The first payment over 430 million US dollars was on 15. January due, the rest to the 31.01.2019. Thus, NEVS is valued at around 1.6 billion €. Is the company worth this amount? Yes, says a friend who is closer to the auto industry than me. On the plus side are the factory in Tianjin, which is almost finished. The production and sales licenses and an electric car, which is at least close to the production capability. In addition, the real estate in Sweden, with a development center and a no longer producible car factory. In addition, there would be the announced plant in Shanghai; its status is unclear. Founder Hui Ka Yan (also called as Xu Jiayin) is considered one of the richest people in China, and Evergrande is said to be the second largest developer of real estate. 7 millions of Chinese live in its 30 million homes. 140.000 people work for Evergrande. The company is successful, but also powerful. The Evergrande Group is deeply in debt. According to information of the SvD 94 billion in liabilities are expected to have accrued. Tricky: Half of the debt is of a short-term nature and must be refinanced within the next 12 months. That hits Evergrande in a bad phase. The Chinese real estate market is in icy conditions and the major players are suffering from high levels of debt. In this environment, it is becoming increasingly difficult for the group to raise fresh capital. The company therefore pays high risk premiums, as 2018 pays 13.75% interest on 5-rated bonds. In October 2018 made an unusual move to Evergrande. From a new 1,8 billion US dollar bond, founder Xu Jiayin had to 1 billion draw yourself, to ensure further financing of the group. For European ears, the numbers sound disastrous and doubts arise. However, we have learned that China plays by its own laws. In addition to facts, utility for the system, networking with rulers, and access to covert government funding are at least as important. And it's probably true of Evergrande, which is valid everywhere in the world: "too big to fail"
The Evergrande Group stands for spectacular investments, as well as for the spontaneous withdrawal from investments. In 2015, the Group launched an 12 billion dollar investment in solar power plants in China. But ended their commitment abruptly - pointing to a changed market environment. The most spectacular demolition so far was the investment in Faraday Future, In the absolute luxury e-car segment Evergrande 700 wanted to invest millions of US dollars, but withdrew completely unexpectedly the commitment. Since then, the parties are arguing in court. It is about the theft of intellectual property, the allegedly planned cold takeover of the US company FF by Chinese. And FF wants to force Evergrande to the pledged investment. The project itself is initially made of ice. The investment in FF was one of the building blocks of 2018's announced diversification strategy for the Evergrande Group. On the 23. September 2018 announced the company's strategic cooperation with the Guanghui Group, one of the country's largest car dealers. Guanghui is expected to sell 6 million new cars annually. Since then Evergande has become the second largest shareholder of the Guanghui Group. On the 17. February, shortly after the acquisition of NEVS, the Evergrande High Technology Group also announced the 2. January took place Foundation the Evergrande Smart Charging Technology. A charging technology company to build charging infrastructure for electric cars. Strategic diversification is vigorously pursued. The two investments in Faraday Future and NEVS AB could not be more different. Farday is anchored in the prestigious and profitable luxury segment. NEVS wants to supply the fleet business with much lower revenue. The futuristic FF91 is a visibly more conservative electric car concept of NEVS. It begs the question what NEVS stands for, and what Evergrande wants to see in NEVS? In retrospect, the profile of NEVS is blurred. You already wanted to be so much. 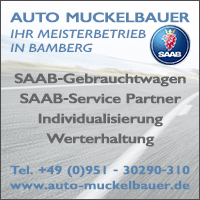 From Saab's successor to Tesla Jäger, contract manufacturer, hardware supplier to global provider of sustainable mobility. In Swedish media, they are now dreaming again of a production in Trollhättan. It should be possible before 2020, is to be read. But the factory in the Stallbacka is looted, parts were shipped to Tianjin. Big investments are needed, and the question arises of what to do with the historic walls in the times of Industry 4.0. The factory used to be the most modern in the GM network. But that's good 10 - 15 year ago and no longer relevant today. Times could get better for NEVS AB. For the first time in a long time there is the missing clear shareholder structure with a simple majority. Evergrande has the leadership, founder Kai Johan Jiang is from now on only in the second row. This could speed up processes, be useful for targeting, and finally a well-defined profile. 300 million US dollars is said to have already been transferred by Evergrande. The group has committed to another billion. The liquidity crisis is over, but not the crisis in the stablebacka. The departure of the Head of development and other service providers in recent weeks can be seen in the context of the acquisition by Evergrande. NEVS founder Kai Johan Jiang has overseen wages and salaries over the past week 3% increased, As a sign that the crisis is over now. Is that enough? Everything is possible. Nothing is safe. The consequences of the acquisition of NEVS AB by Evergrande and Xu Jiayin are difficult to assess. For our European understanding, several facts speak against it. However, our Western incomprehension for China and the rules of the system certainly plays a part in this. It may not be wrong to recall another takeover a few years ago. On the 28. March 2010, a certain Mr. Li Shufu bought the Volvo brand from Ford. He was given little chance in Sweden at the time. He was a blank slate, his background was considered doubtful. He was assumed to be unaffected, incomprehensible to Sweden and to the brand. The allegedly wealthy Mr. Li Shufu has invested around 13 billion US dollars in Gothenburg ever since. Today, the Geely Group is China's most successful private car maker and has the fastest growth rates in the world. Volvo has come to new heights with Chinese money; London Taxi, Lotus, Proton, Lynk & Co and 9.7% of Mercedes also belong to Li Shufu's realm 9 years later. You have to wait and see what the time will bring. The next weeks, months, years. Therefore, everything is possible for NEVS, Evergrande and Trollhättan. Nothing is safe. ← Picture puzzle: Motor + Trionic + longitudinal installation =? 31 thoughts too "Evergrande - Hope for Trollhättan?" Clearly the Chinese have to say it now in the Betreibs world but it is always exciting with them. Is it going on or is it failing somewhere on the way to success? Let's hope for Sweden it keeps up. Already exciting (again) .... Maybe Evergande from NEVS makes Tesla 2.0? 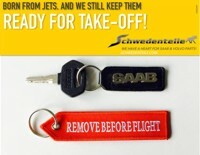 Or negotiate with SAAB AB and buy back the trademark rights. Yes, yes, you may well dream. ... is for me a key sentence of the article. According to Western understanding, he is especially focused on the last major financial crisis. Ergo on internationally active western banks and the real estate bubble, especially in the USA. ... has been in my mind for some time now in connection with NEVZ. You are not an automaker until you have actually built and sold cars. NEVZ has solved this question elegantly and with minimal effort. 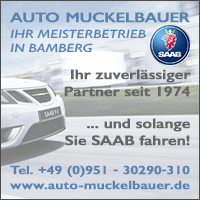 You've just built a handful of SAAB 9-3 sedans and now you can call yourself "car manufacturer" - regardless of whether you have developed it yourself, no matter how few cars it was, no matter how high the investment and the Losses since the SAAB acquisition. Because that's not what this is about. After the (Western) real estate bubble comes the (eastern) automobile bubble. KJJ and others will make their cut or have done so long ago. Western or Eastern understanding of the situation or not, with NEVZ it is just as little about competitive and high-quality cars, as it previously went in the US for rock solid properties. It is poker. And whoever considers his own bet smaller than his own winnings has won. By "too big to fail" is meant something other than the thing with the Western real estate bubble or even the eastern automobile bubble - the latter I do not even consider existing, because the great demand for automobiles there actually exists. A fitting example would be GM in the US - at times the world's largest car manufacturer. As is known, a few years ago, when bankruptcy and looming finalization of this company, the US Treasury intervened protectively and put an end to the decline with state aid billions. I would classify such processes around large corporations into the category "too big to fail" - the conglomerate of Evergrande certainly also belongs in this category. But if you place the "conglomerate of Evergrande" in this category ("too big to fail"), then we agree in all essential respects. What should or could I oppose to you? ? ? This is almost the pure culture of a bubble that you are part of a large whole, which is already significantly larger than anything that the market will ever make sense. I am convinced that China has a need to catch up on this point (however modern you may be there). Western democracies have been working on the social market economy since WW II at the latest. For a few years, the undemocratic China, which is questionable on human rights issues, has been trying to overtake these social market economies with their own and since then suddenly radically antisocial market economy. The fact is that NEVS has been engaged in increased marketing in various social media in recent weeks. Slowly, the whole thing seems to start rolling, for which one has heard almost nothing for years. 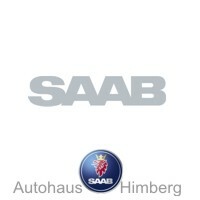 And even though Volvo has saved a Chinese investment, I do not hope Evergrande is tempted to negotiate the brand name of SAAB AB. It's bad enough that the NEVS is the history of the original SAAB, the milestone reached by the 99 Turbo, or the highly acclaimed 900 Convertible for marketing events and is resting on it. On the contrary, it might be interesting to know how the patents are distributed. Is there a level of knowledge? For any attempts to bring the brand back to life. Thanks for the text. 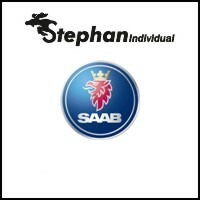 Let's wait and drive SAAB! ... .. and when something new from Sweden comes to our liking, .. the more beautiful! Whether this will be a "good ending" ..., we will see and read. The idea of ​​using "play money" from Mega Oaks I consider possible. Whether this is useful for the market ..., I can not judge. Whether sheer size means long-term success, time will tell. I remain skeptical. This article also shows how fast companies, responsibilities and cash flows change !!! Do not believe that NEVS can only survive on electric vehicles alone. Also nice would be hybrid vehicles made in Trollhättan - at least for the European market. Why not again under the old brand name. Let's wait and see what Evergrande has on the pan. Strictly speaking, there are even 11 comments generated by the 9000, because 10 comments in the category NEVZ do not refer to NEVZ, but to a Dutch museum. 26 NEVZ comments are left on each NEVZ article versus 8,66 for a troll and versus 24 for a SAAB 37. 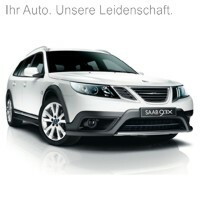 Between Snurg and the 9000 also joins a SAAB image puzzle with 9000 internationally generated comments. The interest of SAAB drivers in NEVZ is in a descent to dive. 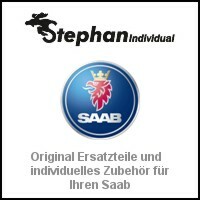 The test drive of a used SAAB, a longitudinally mounted SAAB engine and the story behind a colorful sticker are taken individually and alone as exciting and moving as 3 to 4 messages on the subject of NEVZ in total. Fascinating! ! ! Just a few numbers to the morning: Yesterday's article was worth a visit 2.5k readers. Exactly the values ​​that Troll Snurg had. Consultation: Is the number of readers perhaps independent of the article and its content relatively constant? Will not every subscriber and every other reader at least have a quick look, no matter what? Are the emotions and interests of the readers in the comments thus possibly more reliable than in the perhaps relatively constant calls? Well, of course that was a Kalauer. Let's put it that way, numbers and facts usually allow a surprisingly large amount of scope for different interpretations. No. Striking is the declining interest in NEVS, which has been emerging for months. 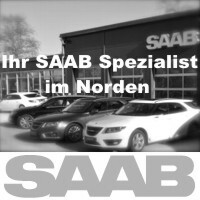 In return, "normal" Saab articles have more readers than before. An old 9000 beats a NEVS EV in the public interest. This is relatively new. Can and should one already donate for 2020, or is it too early? The declining interest in NEVS may also be related to the fact that in the meantime, taking a closer look, electric cars are no longer quite as uncontested in terms of environmental performance. 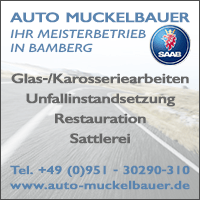 As Herbert Hürsch correctly commented a few days ago, well-made hybrid vehicles or even old-fashioned E 85 vehicles would actually be the better solution in comparison to pure electric automobiles. Unfortunately, E 85 with a flimsy justification in Germany as good as no longer available - unlike, for example, in France (where many brand gas stations still available). That's certainly correct what Detlef Rudolf writes. In addition: 2012 an electric car would have been something special. Meanwhile, the criticism-free advocacy of electric cars annoyed by some parts of the press and politics only. And also a Tesla, I thought it was great, you do not want to drive anymore if you read the attitude of Tesla people in the relevant forums. the topic Hybrid / E 85 I see exactly the same! In France, not only "still" but also, due to a government initiative, since the spring, 2018 is increasingly being placed on E 85. Were it in April a little more than 1.000, it should now be well over 3.000 gas stations where E 85 is sold at a liter price of about 60 to 70 cents! In some districts in the south of France, buses have recently been operated exclusively with E 85, which is obtained from waste from wine production. If you think of the misguided German energy policy, you can only get angry and shake your head in the face of incomprehension! What is actually with all the biogas plants in this country? From which could be won instead of gas so well E 85. One question: You write "Unfortunately, E 85 will be offered on a flimsy basis in Germany AS WELL AS NO MORE". Follow this link and you will learn that in Trollhättan a project has started to ask the inhabitants about their driving habits. This is done with the aim, if possible, of using NEVS vehicles for car sharing (in the future). 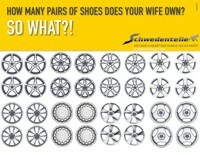 For most of us, it is probably still common to own a car. The rethinking in the direction of car sharing is in Sweden probably desired by the policy. (?) The drive should be to be electric and autonomous driving at some point. It is said, among other things, and mutatis mutandis, that NEVZ is probably the only car manufacturer that wants to reduce the number of registered vehicles. You generate yourself in a progressive, environmentally aware and selfless way. I predict that NEVZ will find it very difficult to further reduce the number of approved NEDCs from the given zero. The truth is, you're desperately looking for a niche where other automakers - who deserve the name and actually build cars - may have forgotten a piece of the pie. And when I look at the lifestyle of the Swedes and other Scandinavians, and the structure of the relatively large and sparsely populated countries for European conditions, I assume that car sharing is only practicable for a few. 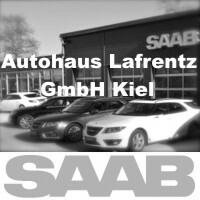 Regarding the NEVS article, I really like to read the Saabblog, but I skip the NEVS article more or less, it's about Saab, I read very carefully, that every Saabinformation I find important. 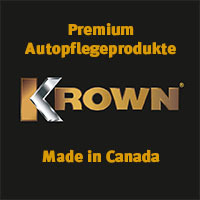 Even if I do not have 9000, the chance that I will eventually drive an 9000 is much higher than driving a Nevs Saab. Nevertheless, I am grateful to Tom for always keeping us up to date on the latest developments concerning NEVS. In the past, and of course after the bankruptcy, I always thought to the different investors, now it's still going on again. 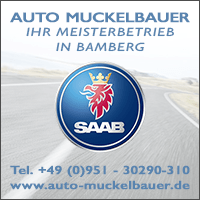 But especially thanks to the in-depth information and also the various comments here on the blog (I'm one of the newcomers here, I've only "discovered" the blog in the spring of 2018, but have since read every contribution with enthusiasm), I've come to the conclusion that what we mean by Saab unfortunately has no future today. There are (in relation to the current state, not the reasons that led to bankruptcy) so many obstacles: The split on various owners patents, the final exodus of know-how, the final exodus of designers, developers and others who for the certain something and the certain others stood by Saab, the dismantling of Stallbacka, the blossoming of Volvo as a result of the bankruptcy of Saab (staff, know-how and much of the Swedish buyers' circle may have been taken over) etc. etc. and of course the Timing that should have definitively destroyed any interest of the Swedish state or investors. Dead is dead. 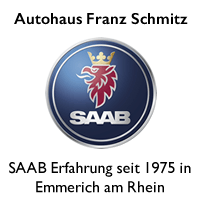 But who knows - maybe there will eventually, possibly after years, a new start under the (purchased) name Saab, as well as other dead car names were revived, some with interesting results, sometimes just terrible. 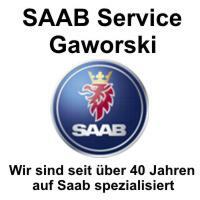 It remains to be seen if that would be something that former Saab friends could identify with. That it will be something else anyway - and must be - in my opinion, given the time elapsed anyway clear. Maybe this is also an opportunity: The entire automotive industry is facing radical upheavals and new thinking (drive mode, automatic driving, etc. ), so that you could not continue where you left off almost ten years ago anyway. No, to my knowledge there is not a single tank in D that still offers E 85. If there were one more, the liter would be about as expensive as a liter of gas for fiscal reasons because our legislature decided and controlled it. Namely the full mineral oil tax on a to 85% renewable and biological energy source to raise. That's why E 85 disappeared almost everywhere, just like on a deadline. Thanks for the information! I had thought or hoped that the then still tax-privileged purchased remainders should then be resold so from the refueling. But it is already too long ago, that there could still be such rests somewhere. Demand in D was bigger even at the best E85 times than the offer or as the grid would have been close enough. What you repeatedly report about F (thanks for that), but makes me (at least a little) courage and hope that perhaps D here again could think and redirect. Even if bio-gas and ethanol have very little to do with each other. This requires two separate procedures and systems. But in principle (why not waste for one as well as the other use) you are perfectly right. F does it. Vive la France! ! ! Yes, hopefully Germany is still looking at something from its closest friend France. By the way: Another important argument that illustrates the whole madness of the diesel witch hunt, is today's opinion of the pulmonary doctors, which reveals the irrelevance of the limits .. That was overdue! According to an interview with a pulmonologist, which I just heard at NDR, nitrogen oxides should also be natural substances that the body produces itself. In addition, for example, on a summer day during a walk in the forest, the limit was exceeded many times over - produced by the bacteria in the forest floor! Have just read the message that the Swedish state will prohibit from 2030 diesel and gasoline engines, ie, from 2030 to no more internal combustion engines are sold in Sweden. Meaning for NEVS ?? It's a Chinese company anyway. The technology transfer, which is constantly from Eurooa to China - a state that does not abide by international agreements, disregards foreign intellectual property and intellectual property, ignores human rights, knows no freedom of expression or freedom of the press, tolerates the worst working conditions such as those of Manchester capitalism, etc. - in several Industries takes place is a disaster! If you stay somewhere in nowhere on a gravel road in the midst of the blueberries and beyond the house and main street, then you simply take the canister from the trunk and pour some electricity into the battery! Politics and reality have not only alienated each other in D.
Yes, unfortunately! And completely crazy. I got the message yesterday via a newsletter from Xing, which redirected to an article in the world (otherwise not my preferred source of information). Will probably vote unfortunately. It is to be hoped that 2030 may change a bit and those responsible finally recognize the disastrous CO2 record in the production of electric cars and act accordingly. Sweden was on such a good way with ethanol from waste - it is not environmentally friendly! And as a hybrid would have been great. And what about hydrogen? Then also forbidden? Why is there so little happening in the direction? In HH, I think, there are three gas stations. My husband has to buy a new car this year and has already played with the idea. But is everything very uncertain: gas station network, price development, resale value?